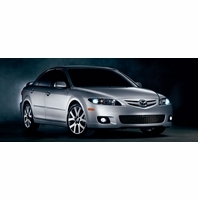 MazdaSpeed6 Parts and Accessories. Genuine Mazda Accessories and Mazda Parts offer the style, comfort, quality and satisfaction that make driving a Mazda even more rewarding. Designed and guaranteed to fit your Mazda perfectly inside and out, they are the only accessories built to the same quality standards as your Mazda.